We've gotten a lot of attention! Check out some of the coverage we've received below. Beth had a tiny, heartwarming story written on a single sheet of paper – and she had a vision of what it could become. It also would seem natural that her husband Ben, with all of his artistic capabilities, could bring her story to life visually. But here's the thing: sometimes you’re just too close to something. And sometimes you feel that there’s a different path that needs to be taken instead of the obvious one. This week on the Creative South Podcast, I’m talking with Author and Designer, Beth Stafford and Illustrator and Designer, Jeremy Slagle about their upcoming children’s book, “Chin up, Chinchilla.” We get a bit of Beth and Jeremy’s backgrounds, talk about how Beth came up with the idea for the book, how Jeremy got involved with the illustrations, creating emotion in the characters expressions, and discuss the Kickstarter Campaign for "Chin Up, Chinchilla." This week I am excited to introduce Beth Stafford and Jeremy Slagle. 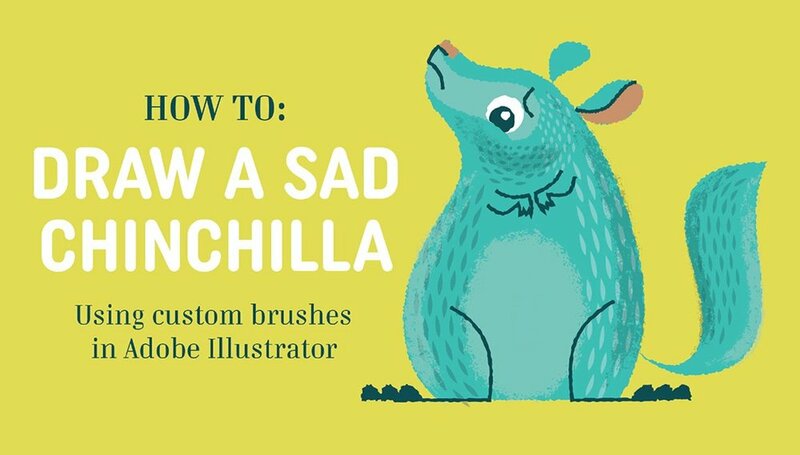 Beth is a designer and author, who wrote the Chin-up Chinchilla children’s book. And Jeremy is a designer and illustrator who had always wanted to illustrate a children’s book. They way they met and the way this book was perfectly crafted together by God is pretty amazing. Their story will give you hope especially if you have had the dream of a either writing or illustrating a children’s book on your bucket list. Then on top of it all, they launched a Kickstarter (launched on Aug 15th, 2018) and in 24 hours they were 66% funded. In 48 hours they were 88% funded. In four days they were 92% funded. This is AMAZING. And I want to know how they did all of it.